Featuring drag-and-drop file saving right out of the box, USB-powered capability, and fast data transfer with USB 3.0 and USB 2.0 connectivity, it's simple, reliable add-on storage. The Seagate Expansion External hard drive by Seagate offers an easy-to-use solution when you need to instantly add data storage to your computer. Digital photos, video and music files can tax your computers storage, causing performance to decline as its internal hard drive fills to capacity. 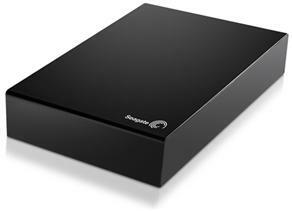 The Seagate Expansion external hard drive helps remedy this situation by enabling you to free up storage space on your computers hard drive.